Ear cap/beauty steamer/SPA heated cap Function 1. Hair treatment 2. Hair dying 3. Hair perming Number Specification Details 1. Materials Bear high temperature material fabric 2. Input voltage AC220-240V/50-60Hz. The hair heating cap is good assistant for making hair. This type product is similar to salon hair steamer machine,but it is portable,personal and simple. It is used to protect your ears from the Hair dye tint and cream . 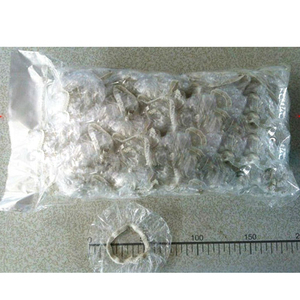 2. if you are not satisfied when you receive your item ,pls return it within 7 days for a replacement or money back . if you do not receive our reply ,please kindly resent your email and we will reply to you as soon as possible . 4 YRS Guangzhou Bairui Hair Products Co., Ltd.
1. Q: Are you a factory or trading company 9 A: We are a factory. 2. Q: Where is your factory located9 A: Our factory is located in No. 4.Q: How does your factory do regarding quality control9 A: Quality is priority. 2 YRS Guangzhou Zengchen Hairdressing Tools Co., Ltd.
) --Customized Label (PRINTING/STICKER) --Customized Package (PE bottle/PET bottle/GLASS bottle/TUBE) 3. WHAT&rsquo;S YOUR MOQ9 --For our own brand, there is no MOQ request, but different qty may have different price. -- For OEM: if for private label only, MOQ is small, some are 1200pcs (that&rsquo;s depend on exact products); if for customized bottle, MOQ is 5000pcs or more, it&rsquo;s depends. ) 4. WHAT&rsquo;S YOUR DELIVERY TIME9 -- If for our own brand, normally 3-5 working days -- For customize, normally 20-35 days, it&rsquo;s depends. ear cap,hair dye ear cap,salon ear cap: ideal for hair salon to protect ears being dirty during hair dyeing good quality with low price different designs available We are professional manufacturer for beauty salon products: hair roller,hair clip,razor( hair cutting and shaving ),disposable razor,comb and wooden hair brush,cape,tinting series( brush,bowl,cup,cap ),mirror and other hairdressing and body&nail care tools,with many years experience in this line. 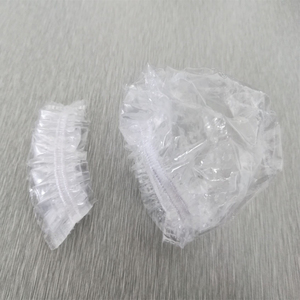 6 YRS Dongguan Universal Plastic Manufacturing Ltd.
Soft loop handle bags and die cut bags, disposable rain poncho, disposable shower cap, disposable gloves. It is super transparency, very high resistance on stretching, but it can breaks very easy. 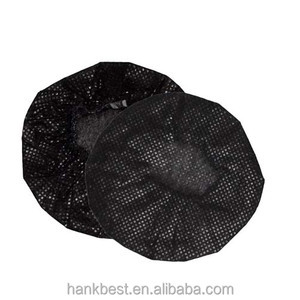 It is suitable to produce disposable rain poncho, mulch film, retail carrier, mailing bags, laundry bags. Q3: When can i get the price9 A: We usually quote within 24 our after got your inquiry. If you are urgent to get the price, please call us or tell us in your email so that we will regard your inquiry priority. Q4: How can i get a sample to chack your quality9 A: After price confirmation, you can require for samples to check our quality. Alibaba.com offers 9,556 ear cap products. About 18% of these are winter hats, 16% are swimming caps, and 11% are sports caps. A wide variety of ear cap options are available to you, such as free samples, paid samples. There are 9,556 ear cap suppliers, mainly located in Asia. The top supplying country is China (Mainland), which supply 100% of ear cap respectively. Ear cap products are most popular in North America, Western Europe, and South America. You can ensure product safety by selecting from certified suppliers, including 1,828 with Other, 1,212 with ISO9001, and 253 with ISO14001 certification.